By Meagan Freeman , in Multiple Sclerosis on April 11, 2019 . The diagnosis of multiple sclerosis for the mother or father of a family must have some impact on the family whether it is realised and faced or not. A diagnosis of this sort with all its uncertainties and possible developments cannot leave a family unchanged. If the development of the multiple sclerosis is more rapid and disabling the future stability of the family is more at risk. I have seen one such family where the mother took to a wheelchair against medical advice, at a comparatively early stage of the disease because she felt tired. Her husband has given up his work and now lives at home to look after his wife and their small son. The small son is becoming difficult to control and I have the feeling he uses either parent as a pawn in his own self-seeking. He is too young to understand the illness but he is quite old enough to understand his own powers of manipulation in a difficult and unhappy situation. I think multiple sclerosis in a parent or in an elder offspring is and should be a family affair. It is not like a cold that will get better or a broken leg that will mend but it is likely to be a long drawn out illness with good times and bad times and always with uncertainty. Such a situation cannot be faced by one member of a family in isolation while the others go on their own way unknowing or uncaring. At least they can, and sometimes they do, but it is a loss of enormous significance both to the member with multiple sclerosis and for the rest of the family. For the marriage, an illness such as multiple sclerosis in one of the partners can be a force leading either to its strengthening or to its disruption. 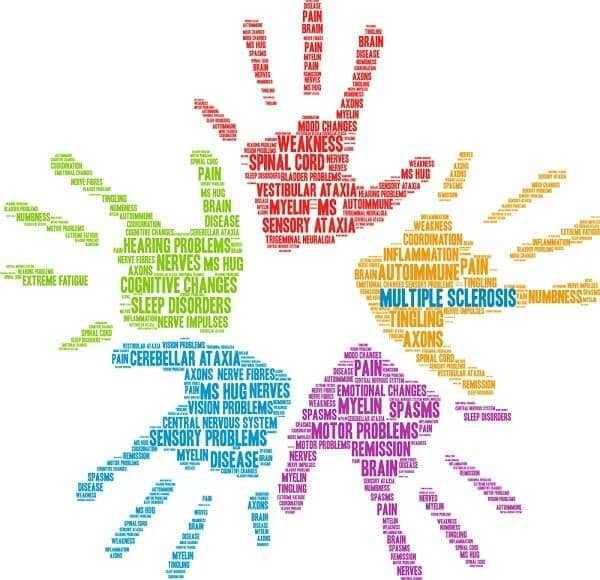 It is bound to make a big difference whether the patient with multiple sclerosis is the mother or father of the family and also at what stage of disablement the diagnosis is made. If the father is a dentist and his hands are affected he will have to change his occupation. Changing an occupation for anybody, especially a man, is a profoundly disturbing experience. It will probably be more difficult if the patient is older and also more difficult in times of unemployment. It is probably a mistake to take a decision about change of employment too rapidly. Multiple sclerosis is at all times an unpredictable illness and a good and lengthy remission may occur unexpectedly. If a former employer of a patient can wait and keep his old job open for him or even be prepared to give him parttime or less arduous work to do, it will probably be far more beneficial for both the patient and his family. Knowing that there is work ahead is an enormous comfort and an incentive to do all within one’s powers to get better. Perhaps if one did not enjoy working the situation would be different. A mother or wife with multiple sclerosis will be less likely to be in regular employment. If a father is unable to return to an ordinary job it will be far better for him and his family if he can be out part of the day in some form of sheltered occupation even if his wife starts to work to help with the family income. Many men who are around the house all day not only feel in the way but often are in the way! They are bored and can too easily pass the time with cigarettes, alcohol and television. 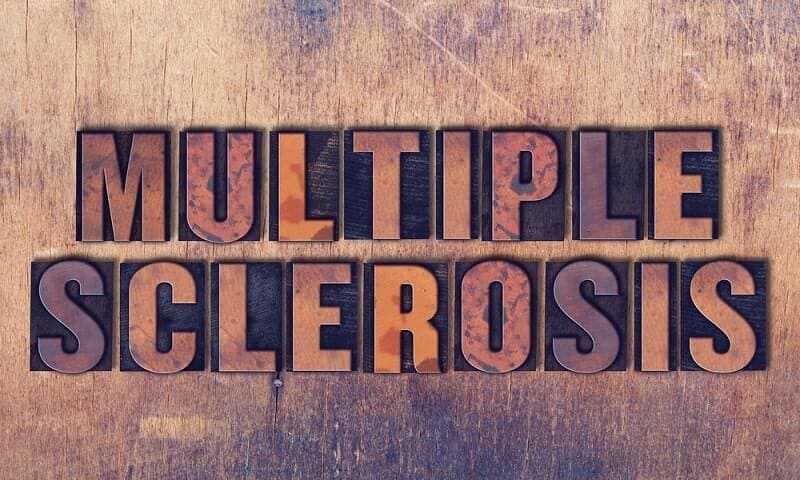 A mother or wife with multiple sclerosis will probably not be the sole bread-winner for the family and she may feel less tired if she gives up her part-time work outside her home. If she has children still at home of whatever age she will probably find that she has plenty to do to use her limited energy. She will need more help in the house with certain chores long before anybody need think about adapting the house for a wheelchair or other walking aid. I was already living many hundreds of miles away from my husband when the diagnosis was made and my initial reaction was to tell neither my husband nor my children. I probably did not want to tell my husband because previous illnesses had been put down to ‘all in the mind’ and with this sort of illness I think he has little sympathy. Instinctively I shied away from being told once again that I should be all right if I could learn to pull myself together. Eventually I told him and the initial reaction was as I had predicted. When he finally came north our general practitioner saw him and tried to explain but there was a disturbing rift between us. Probably he did care and was unable to show it. Perhaps he was frightened and could not let me know. I think he also found it very difficult to accept that any part of him—even his wife—had an illness which could not be put right. He is a perfectionist and perhaps being faced with an incurable illness was too much for him to take without being damaged himself. He preferred to escape from the situation in intense work in the south. Looking back at it now I can be philosophical but at the time I was far more aware of my own sense of rejection and loss. It was a very unhappy feeling to be permanently down-graded to a second and for this reason be unwanted. I desperately needed his help and support but I could not travel south and he was too busy to travel north. I think the telephone is the worst possible form of communication at such times. I felt very rejected and cast aside. These feelings may have been unbalanced but at the time they were too vivid, and too real, and the effort to keep them covered too great to worry about how they matched up with reality. Probably on the surface I appeared calm and under control but at times my feelings of hurt and despair were almost intolerable. I had probably never before needed the closeness and support of a loving husband as much as I did at that time and I did not even have the physical presence of my husband. Ironically on the rare occasions when he did come north I tried so hard to cover up my hurt feelings that I probably seemed to him hard and unloving and rejecting. Those weekends were invariably the ones when there were children in the house, that I was particularly tired and always ended in bickering and an increased gap between us. I think that these feelings were the hardest I had to bear and perhaps, who knows, my husband was suffering as much but in a different way. Looking back it is easy to be wise and see what might have happened if one had behaved differently. Over the past year the situation has improved a great deal and my husband says this is because I seem different. I am not able to explain to him that of course I do seem different now that I am not treated as a reject model or a leper. It is probably better to let such feeling drift and be patient and receptive to change and improvement and keep hoping. I think and I have also noticed when any chronic or severe illness affects one member of a married couple the result can either be a bonding process or a disrupting one. Probably this depends on the maturity of the characters involved and the depth of mutual regard and affection which they can bring to, and share in dealing with, the problem. False courage, bravado, sympathy, and demanding behaviour and childish ways all tend to disrupt the relationship. In our particular instance sheer physical distance between us, the impossibility of spending much time together and probably my own overdefensiveness all combined to act as disruptive factors. In a close marriage it is impossible to hide deep feelings, fears of disability, fears of death and fears for the future. If they can be shared, much emotional isolation can be avoided and there is a much greater chance that the marriage will be strengthened rather than weakened. Open discussion may be needed about money, for when either a husband or wife is disabled, the amount of effective money for the use of the family inevitably drops. If the husband is unable to work, a disability pension, possibly other insurances, and savings are unlikely to be as great as his original income. The wife may not be able to go out to work for many hours a day to supplement the family income because she may be needed at home to help her husband, and cope with the daily chores. If the wife is disabled through multiple sclerosis she will be entitled to the disability pension and possibly the attendance allowance as well as the new non-contributory invalidity pension for married women. It is very unlikely that Multiple Sclerosis and the Family these financial aids will really recompense the family for the extra expense incurred in replacing the lost work of a wife and mother. Help will be needed for cooking, cleaning and possibly caring for children as well as for the disabled mother. In addition the husband may find that he has to refuse promotion or to take time off work to cope with many everyday problems with which his wife would normally have dealt. Then there is the question of children. Should children be told about a sick parent, and if they are told how much should they be told and when? It is very difficult to generalise with such a complicated problem. Very small children may be unaware of the family difficulties as long as their physical and emotional needs are attended to by an effective mother substitute. At any age older than this I think there is a far greater danger in under- rather than over-estimating the understanding of children. If they are not told about an illness such as multiple sclerosis their suffering and their sense of exclusion may be much greater than if they are told gently and progressively kept informed about the illness. It is all important that their questions should be answered honestly and as fully as they require to be. Obviously this needs a subtlety of judgement which many parents may lack. It is probably more difficult to tell adolescent children than to tell younger children. Adolescence is a very vulnerable time when feelings both positive and negative may be running high between parents and offspring. I think there are few homes where they can honestly say that there are not occasional emotional crises during these years. What is going to be the effect on an adolescent of being told that a parent has a progressive and incurable illness such as multiple sclerosis? I think the same sort of approach should be used in telling the adolescent as in telling the patient. Honesty is paramount but optimism comes a close second. Multiple sclerosis is not a death sentence; rather it is a diagnosis that needs some thought and considerable adaptation of life style. If this can be sensibly explained to an adolescent then the fact of excessive fatigue on the part of the mother or father and the consequent demands on him/her to give help will not be such a problem. My own three adolescents were told formally by our general practitioner when I was brought back from the hospital after I had crashed my car. I did not hear what he said because I was in bed and they were in the kitchen. They asked me no questions and made no comments and I was foolish enough to take this to mean that they had taken in the situation and accepted it. How could any doctor whom they did not know particularly well, have made such good contact with them in a matter of minutes? Probably because we are effectively a one-parent family we normally discuss anything and everything at some length but on this occasion I kept my thoughts and feelings to myself. I suppose if I had been asked why I did so I should have answered that I felt that the children had had enough to put up with, such as the drastic change of schooling and of culture and the vulnerability of a one-parent family, to have to face the problems of their mother’s health. I thought innocently that as long as I was around the house, got their breakfast for them before they went to school and had a meal ready for them when they came in that was enough. I was so very wrong and did not see that my reticence was not sparing their feelings but making the situation far more tense and their suffering greater. I was on my diet and taking sunflower seed oil but I did not comment on it. It irritated the children’s already jagged nerves, and my son went to a trusted friend of ours and said how impossible the situation at home was becoming and how completely obsessed I was with my illness and everything to do with it. I think this was an example of words left unsaid speaking louder than words that are said. I was bitterly ashamed of myself and of the way in which I had let my children down while proudly believing I had been doing and saying the best things for them. How wrong and misguided we can be even when we believe we have the best intentions. I tried to put matters right but do not think I was very intelligent about that either. One evening I was more than usually tired and down; after I had given the children their meal I went and lay down on my bed and cried. After a little while my eldest came and sat down beside me. She took my arm and gently ticked me off. She told me they all knew I had multiple sclerosis and they had found out a lot about it. They respected me for trying to keep it to myself but it was wrong of me because I should have realised that they were not small children but people who were quite old enough to help me and share my problems. Whatever the future holds for her or for me or for both of us I shall always remember that moment with profound gratitude for her understanding and wisdom. Is it wrong that children or young people should be forced into situations like this before one believes they are ready to face the harder facts of life? Obviously it must depend on the young people themselves, the family as a whole and the strength of the individual bond within the family. Of course they forget, are careless, thoughtless and occasionally utterly callous but that is how it should be. Yet underneath the natural behaviour of adolescents towards their middle-aged parents I know that mine have an unusual protectiveness which may only be shown by a push away from the kitchen sink and an instruction to go and have an early bath and not take all the hot water. It is as necessary for a parent with multiple sclerosis to be optimistic with her children as it is necessary for a doctor to be optimistic with his patients. There is no point in pondering about an unhappy future and it is much more important to concentrate on the possibilities of today. It is also very important that a parent should at no time blackmail children with her illness. I know from bitter personal experience that this can all too easily happen and at the time be done unwittingly. You must be extremely honest with yourself about your motives and never let personal gain, through your disability or potential disability, influence your actions or your attitude towards your family.